Just because you had a great idea and the nerve to pursue it by starting your own business doesn’t necessarily mean you have the knowledge, skills, or traits necessary to effectively manage a business and employees. But in order to make your company a success, these are areas of your operation you’ll have to pursue. Here are just a few tips to help you get started. Perform an audit. It’s hard to make improvements when you don’t have the first clue about what’s going wrong in your company. 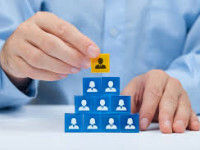 If you want to find ways to effectively manage your business and your employees in order to realize an uptick in productivity and sales, you first need to get a complete picture of the positions, processes, and personalities that are working in your favor, as well as those that are dragging your company down. When you understand where problems are occurring you can begin to plan for change, and hopefully future success. Eliminate redundancies. Whether you’re addressing processes or positions, it’s important to note where redundancies are present so you can eliminate them. Cutting the dead weight, so to speak, can help to streamline your operation and make it more efficient and productive. Talk to employees. It’s not uncommon for the executives at a company to have little or no interaction with anyone below a director level. The expectation, of course, is that news will travel up and down the pipeline. But it doesn’t really work this way. After all, the people directly under you have a vested interest in only delivering the information that’s going to make them look good. If you want a clear picture of what your employees think, you need to take the time to talk to them individually. This will require some effort on your part, but it could also be extremely valuable. Everyone likes to talk about what they know and what they do, and they should be able to tell you about perceived problems within the company, or at least within their purview, as well as make suggestions for how things might run more smoothly. Your employees are a great resource because they deal with the issues that hinder performance and output on a daily basis. So make it a point to visit with employees if you’re looking for ways to manage more effectively. Go back to school. Okay, you don’t necessarily have to return to college in order to become a more effective leader, but you may want to consider the benefits that could be gained from attending, say, a management training seminar, or taking some courses to update yourself on current industry trends and technology. Depending on how long you’ve been out of school, a lot may have changed within your field. And the best way to lead your company into the future and communicate effectively with your employees is to understand your own shortcomings and find ways to improve. Seek professional help. Just because you’re managing a business doesn’t mean you’re equipped to handle every task that needs doing, hence the many employees you’ve hired to fulfill a variety of positions. And when it comes to effective management, you may need some help spotting problem areas before you’re able to implement strategies to improve. You might start by hiring an independent auditor, after which you could consider streamlining processes, upgrading to newer, more suitable software solutions like the business management options offered by Ecount Inc. , or even overhauling your business model. With an expert hand to guide you when it comes to organization and management tasks, you should be able to improve every aspect of your operation.